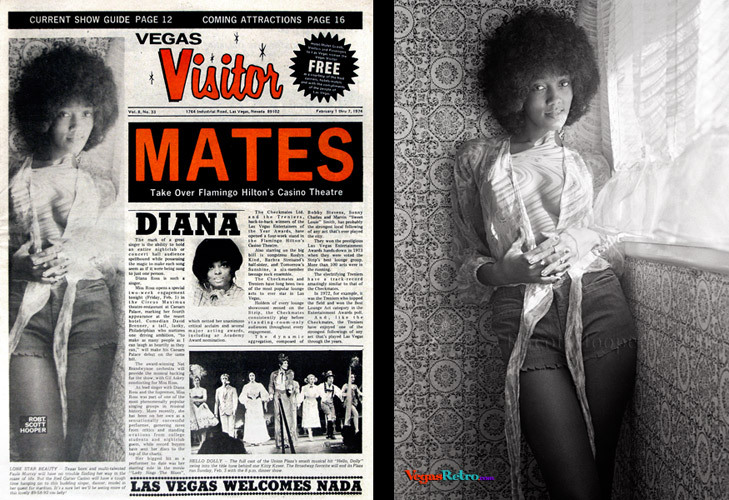 IN THE NEWS February 1, 1974 - The Checkmates Ltd and the Treniers take over the Flamingo Hilton's Casino Theatre while Diana Ross opens a special two-week engagement at the Circus Maximus at Caesars Palace with comedian David Brenner. The Union Plaza brings in Broadway favorite ,"Hello Dolly" starring Kitty Kover. Cover Girl Caption LONE STAR BEAUTY - Texas born and multi-talented Paula Murray will have no trouble finding her way in the maze of life But the Red Garter Casino will have a tough time hanging on to this budding singer, dancer, model in her quest for stardom. It's a sure bet we'll be seeing more of this lovely 89-58-82 cm lady!